Why do you need a shooting glasses? It is your eyes, so if not you, then who else should be responsible to protect it. Therefore, you shouldn’t mind at all to invest in good ballistic eye glasses to protect your eyes. 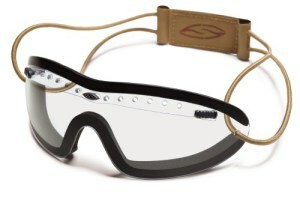 Actually, ballistic protection goggles are more than necessary, it is a vital accessory for every shooters. some of them are typical in our daily situation (bumps, scratches, wind, dust, cold, etc.) and it’s even more critical for anyone who actively involved in shooting sports scene. We might thing that the unwanted incident is unlikely to happen in our daily live, but in reality it is not like what we think. The bad thing can occur in many ways. During a jungle tracking, you are passing near a bush and a branch suddenly smash you in the eye. During a shooting exercise at the firing range, a shell of a cartridge is expelled and unluckily going towards your unprotected eyes. While playing with RC helicopters, a small stone from the ground eventually bombards out violently, dragged by the wind generated by the rotor and hit you in the eye. The situations listed above are only a few among of a long list of incidents that might happen to us at any time. Put our eyes at risk of serious injury, unless you use a pair of ballistic glass protection! Obviously, protecting the eye with this kind of glasses is quite necessary and the most popular and effective way to mitigate the risk of an eye injury is to use a good pair of eye-wear. The market offers several kinds of glasses, some of them are proven in terms of quality and yet many others, especially those from unknown sources and features are quite far from acceptable. This is why professionals should pick a highly regarded and prestigious brand of glasses like this one we are introducing to you in this article: Smith Optics. Of course there are several brands available in the market today, but if were given a choice I’d go with Smith Optics Elite solely for its design, quality and its affordable price. This American company is already a reference within different elite groups with models tested in the most diverse scenarios, even tough ones where deployed forces participate in combat actions. Smith Optics Elite is a subsidiary of Smith Optics Company which is known with its capability of providing a professional solution specialize in ballistic eye protection. Their wide experience in designing and manufacturing all kinds of glasses has given them a great prestige and reputation around the world, especially in US. Smith Optics, with a central plant in Sun Valley (Idaho, USA) and a European head office in Florence (Italy), is a well-established company in the optical manufacturing industries. They has been providing an extensive range of high quality glasses and eye protection products with great features since 1965, which contributed to their wide experience in terms of design, technology, reliability, ergonomics and capacity. They are combining all of this quality to produce even better products that meets the growing needs of different user groups. Smith Optics product has been recognized in various sports (shooting, snowboarding etc.) and also in the professional military and police sectors. User satisfaction and their capability of producing a quality product had made Smith Optics into an undisputed leader in quality and sales volume. Rather than advertising campaigns, it has been the buzz among those who wore it glasses which has attracted increasing attention. Smith Optics contemplates aspects such as technology, features, quality, resistance, durability, ergonomics and ideal price. Some manufacturers offer ballistic glasses with ANSI Z87.1 certification which only protect against minor risks that can be pierced even by those little rounded plastic bullets used in Airsoft models. Smith Optics professional glasses models, however, besides the ANSI Z87.1 certification, obtained military specifications MILSPEC that has ballistic capability to stop little impacts directed to the eye area. A Smith Optics protection feature is nothing less than a six hundred and sixty percent -660%- more than the ANSI´s protection capability. Being able to stop pellets or little pieces and even stones projected to high speed, produced from an explosion. Like what happens in IED (Improvised Explosive Devices) used by insurgent groups and terrorists. In more specific models, like glasses designed to be combined with ballistic helmets, it is guaranteed, as established by the rule MIL-DTL-43511D, its capability of stopping impacts of metallic projectiles .22 caliber of 17 grains- metallic cylindrical testing projectile type T37-, travelling to 183 m/s, some 409.3 mi/h. Adding to Smith Optics glasses ballistic protection capability; we find a diverse feature that makes these models unique and superior to other products. Each pair of glasses has its own serial number making it easier for its owner to identify them. it’s also a valid way to distinguish real models from potential copies or falsifications that may be offered through parallel channels or unauthorized ways. Another outstanding achievement of Smith Optics is the creation of anti-fog features. The key is to control temperature/humidity near the eye area reducing the presence of fog. a special lining on upper part of the lenses, an active-passive design that creates the needed air flow to match inner and outer temperature levels, and a design that, conveniently separate glasses from face allowing fog dissipation for a great performance. Ergonomics is another factor to consider, where they combines the functionality and style wisely. As well they offer new features like TLT technology (Tapered Lens Technology), which lessens the prism effect which can occur when the target isn’t perfectly lined up with the centre of eye. TLT technology in other hands will optimize clarity and sharpness. Therefore, Smith Optics sunglasses delivers comfort, integrate with capability and remarkable innovative features. Also, the price is really affordable which lead to a greater satisfaction level for their user rather than other manufacturers. Their clients knew how good their product is and become their loyal customer for ages. This is a clear sign that Smith Optics is in a positive way, a step forward against other more traditional or less develop brands. Furthermore, Smith Optics eyewear is on the Authorized Protective Eyewear List (APEL) of eyewear particularly authorized by the United States Army, who used to play with top-rated equipment for use by US service members while on mission. Smith Optics experience, quality and technology, distinguished over half a century manufacturing eye protection systems has been transformed into a wide range of glasses with zero tolerance to any flaw and aiming always for top quality product. In addition, their glasses include features like ballistic protection, anti-fog, TLT lenses; all this benefits put Smith Optics at the top of international market. Smith Optics has become the first choice for professional shooters and is also worn by the most prestigious trainers like Pat Rogers. The variety of models is so wide that you’re sure to find the right one for you. The most popular models from the ELITE series, designed to work in the most hostile Operations Zone environments. I bet, you cannot find any shooters wearing a goggle at firing range. But if we focus on specific models in the market, both military and police, we must highlight the Boogie Regulator. Which is designed to be used in hostile conditions with rough winds, sandy and other severe weather elements. It is a great fit for “military forces” and also for a high complexity tasks. Among all available models, Boogie Regulator is one that really stands out for its superb simplicity and affordable price. Yes, it looks so simple but on the contrary, this model can give a real versatility to their user. Boogie Regulator is particularly suitable to use with all types of helmets. Users can easily wear the goggle without hindering the usability of the helmet, thanks to the low profile yet a clever armless design. The design is Google-concept inspired but has been taken to a whole new level by creating a minimalist option for several uses which can be combined with ballistic and shockproof helmets. It also can be matched with NVD (Night Vision Devices) communication system and mixes successfully with weapons equipped with red dot sights like the famous Aimpoint. This model is nothing more than a special polycarbonate glasses without side arm or mount. It is held in position using a narrow but sturdy headband of rubber which we can find it in five different designs to satisfy all tastes and needs. Moreover, user also has other options such as gripping with a Velcro that can be pasted on the back of the helmet cover (currently it is common to find covers for the ballistic protection helmet with Velcro). The Regulator Boogie comfortably attached to the sur-face which prevents any small particles of sand or dirt from sneaking around the edges and get in your eyes. There are a line of holes at the upper part of the glasses that can be opened or closed easily for ventilation, which is particularly to avoid the inside part of the polycarbonate glass from fogging. 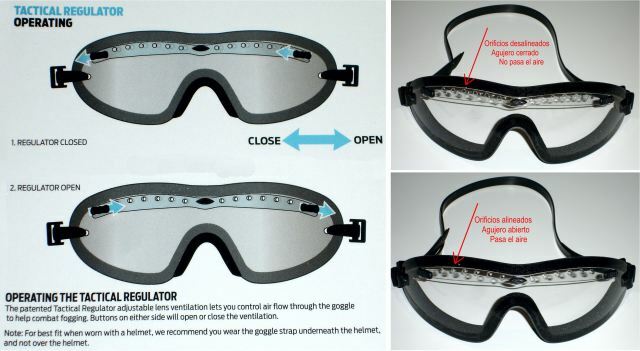 Boogie Regulator goggle come with a single glass and the design offers maximum visual field. The lenses can protect the eyes against harmful UV A / B / C, it also meet US MIL-DTL-43511D goggle impact level protection of military specification. It is available in three colors: clear, gray and Ignitor. The clear glass is the most versatile with a transmission factor of Visible Light Transmission (VLT) of 100%, which is ideal for all weather conditions. The glass use a neutral gray tone to reduce the transmittance of visible light up to 55%, which is useful in bright light. The newness pink tone, called Ignitor, which is a unique feature patented by Smith Optics Elite is designed to reduce eye fatigue while enhancing contrast and depth perception in all light conditions. It has a transmittance of visible light of 35%. I must say that all this while, a typical goggle is so annoying and uncomfortable, you feel like something glued onto your face when you wear it. Not for boogie regulator, because discomforts and pains have not been an issue and I was pleasantly surprised with it performance. For all of it benefits mentioned above, I still do not think that the goggle is suitable for daily use. It is design particularly for certain activities or in extreme conditions (military operations, extreme sports and windy weather or dusty environments) which is vital for you to hide your eyes behind the glass. One more thing, Even though the anti-fog mechanism of the glass is very effective, the mist still can occur in some condition, but the vents work as they should to reduce it and making it invaluable features. The Aegis Echo series is more conventional in usage but not in features. Accomplishing all of the MilSpec protocols, it adapts well to the day-to-day needs, from going to the shooting range for practice to driving open vehicles in dusty scenarios. The flat aluminium arms make it easier to put on and off and to keep in place even when using head-wear or helmets. For shooters, this was good enough because the arms are completely flat and suite nicely even when you use a hearing protectors (a common accessories used in clay shooting and shooting practice). In addition, this model has a wraparound design in order to protect the eyes from all directions. It is so light and the bridge of the nose used a very soft touch support that makes you feel so comfortable. The Aegis Echo come with several lenses, which can be exchanged easily and quickly thanks, to the PivLock. It also can be combined with an eye correction lenses. All lenses have the same characteristics which are 100% protection against ultraviolet A / B / C radiation and meet the demanding military specification impact protection US MIL-PRF-31013 and ANSI Z87.1 standard. The lenses incorporate the TLT (Tapered Lens Technology) which corrects the image distortion, as well as a scratch-resistant coating and a very effective anti-fog mechanism. It’s a very convincing mix of capabilities and comfort, in line with professionals’ new requirements. The Aegis Echo series offers many of these details. Besides, like the above-mentioned, they include a serial number at their upper front central part for easy identify by owner. 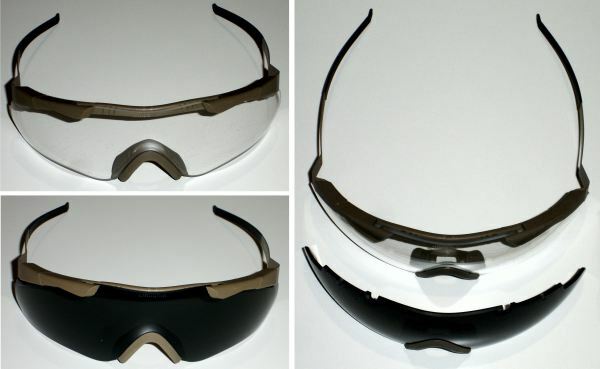 Aegis Echo eye protection glasses available in three frame colors: black, tan (tan) and the very famous MultiCam. They delivered with two lenses, one transparent to all lighting conditions and another one is dark to bright conditions. You can find the glasses Aegis Echo at Amazon.com for 94’30 € price tag (black or ‘tan’) and 103’51 € for MultiCam . Another Elite Smith Optics I model is the Pivlock V2 Tactical, which offered a modern design with full protection for all kind of usability. It has no weigh down and only offers stylish frames, which can be exchanged between the available lenses. Moreover the bridge of the nose can integrate in three positions to better fit the user’s need and taste. The Pivlock V2 Tactical come with high quality hefty case which each lenses have its place. This glasses is available in black or tan (tan) frames and you can choose either two lenses (clear and dark) or three (clear, dark and pink – Ignitor) lenses. You can find them at Amazon.com for 124’21 € with two lenses or 165’60 € with three lenses. Pivlock V2 Max committed to a modern design with arms fixed directly to the front lens, simple and effective. Hudson provides a narrow profile to those who like thin glasses, or Prospect for those who want average size and wide arms. All of the above models are equipped with features like high impact resistance capability in lenses or frames, according to the military standard MILPRF-31013. As a conclusion, it’s important to say that many models are available in different lens and frame colors. Please take a look at the entire model and decide which adapts better to your needs. With any Smith Optics glasses you’ll always have top quality ballistic protection, antifog, perfectly clear and sharp image, as well as attractive design and very comfortable, all that at a very competitive price. Shot Show 2019 – Save the Date!